Home / Uncategorized / Torrejón de Ardoz, Annual Meeting of Christmas Cities. Torrejón de Ardoz is one of the winner capitals of last year’s Call and will host the first International Meeting. This meeting will be the first one to present and analyze good practices in the creation and organization of Christmas events in cities of the whole world. It will be focused on Christmas related sustainable projects for the cities, and the social, cultural and economic development that it generates for their communities. Experts in several branches will be invited, such as cultural managers, urban planners as well as companies, public entities and academic institutions. Registration is opened and seats are limited. The event will count with the presence of Torrejón de Ardoz’s Mayor and several prominent people in the world of culture and economy. 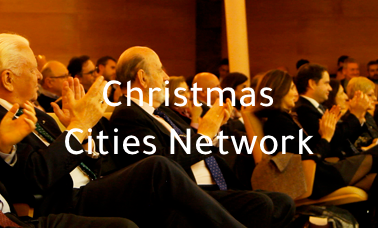 According to Alberto Gutiérrez, President of Christmas Cities Network Association, it will be the moment in which the cities could exchange experiences, develop collaborations between them and enjoy the assistance of the organization team of the Call in matters of their interest.